Innovative IT, the leading CDJ repair company in UK, stays to be the only choice for more than half a million people across UK to repair their CDJs. With 15 years of experience in the same field of repairing CDJ digital vinyl turntable equipments. Our professional way of service and our friendly customer care executives made us the most renowned CDJ repair center in UK. When you get your turn table to our workshop, we would make an instant diagnose on your device and would get your turn table fixed the same day. 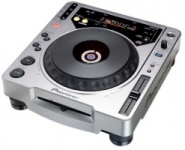 We specialize in Pioneer CDJ models and all other leading manufacturers of turn tables. We do professional Pioneer CDJ 800 repairs and all you have to do is to give us a call at 020 7394 2525 or mail us at info@computerrepairshops.co.uk to get a quote.